Do you feel tired even after a full night’s rest? This can be a sign of sleep apnea, a medical condition that affects over 12 million Americans. Sleep apnea is a disorder in which breathing repeatedly stops and starts. The amount of oxygen your brain receives drops, waking you up, often with a startle. Many people who experience this do not remember waking up and in the morning think that they had a great night’s sleep. They will feel tired during the day due to the constant wake-sleep cycle caused by apnea. How can you tell if you have sleep apnea? When sleep apnea is left untreated it can increase the risk of more serious medical conditions like heart attack, stroke, diabetes, depression, and high blood pressure. Obstructive Sleep Apnea: This occurs when throat muscles relax and is the most common. Central Sleep Apnea: The brain does not send the proper signals to the muscles that control breathing. Complex Sleep Apnea Syndrome: This is a combination of experiencing both obstructive sleep apnea and central sleep apnea. It can also be called treatment-emergent central sleep apnea. Loud snoring is one of the most common signs of sleep apnea, especially when interspersed by periods of silence. Snoring occurs when the flow of air through the nose or mouth is physically restricted. Although not every person who snores has sleep apnea, it is important to consult a medical professional. Dr. Gorman can help you determine the best solution from your snoring evaluation. 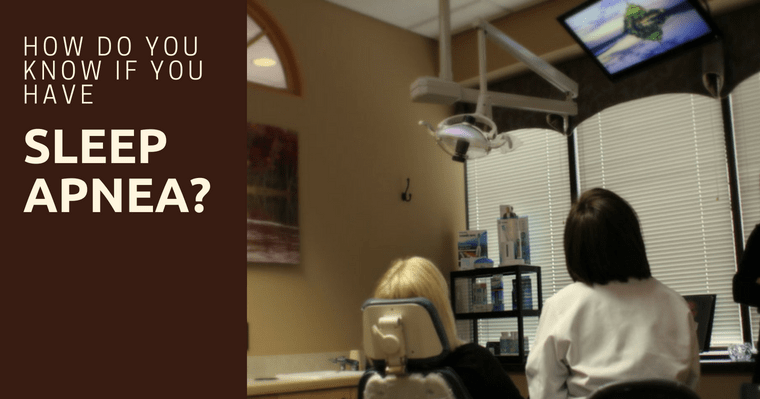 What can your dentist do if you have Sleep Apnea? With milder cases of sleep apnea, lifestyle changes might be recommended such as losing weight or quitting smoking. It might be suggested to those with nasal allergies to treat the symptoms. If sleep apnea symptoms do not improve, there are other treatments available for moderate to severe cases such as an oral appliance to be worn at night. Oral Appliance Therapy: This type of therapy works well for treating obstructive sleep apnea by supporting the jaw in a forward position, keeping the upper airway open and unobstructed. It requires the patient to wear a custom-designed oral appliance while sleeping. It fits similar to how a fitted mouth guard would fit. Snoring Prevention Device: A Mandibular Advancement Device (MAD) may be prescribed. This effective snoring prevention device is specially designed in a way to keep the lower jaw in a forward position in order to increase the space between the airway passages. This allows the patient to breathe more easily. Continuous Positive Airway Pressure (CPAP): This is a unit that delivers air pressure via a mask placed over your nose while you sleep. Air pressure that is greater than the pressure of the surrounding air opens the upper airway passages to prevent apnea and snoring. Some people may find it uncomfortable, but with time and practice, most people adjust to it. The CPAP is the most common and reliable therapy for moderate to severe sleep apnea. Dentists, such as Dr. Gorman, play a critical role in helping patients identify symptoms of sleep apnea. He has the ability to recognize signs and symptoms of sleep apnea in patients even as a child because they can have anatomical traits and tendencies that may lead to sleep apnea. We are here every day to answer your questions about snoring and sleep apnea. Please give us a call and Dr. Gorman will personally answer your question. Our patients trust his years of experience and knowledge. Click here or call 651-483-5134 to learn more about sleep apnea and how Dr. Gorman can help you today.